Matoki Strategic Finance Ltd. provides end-to-end A-round fundraising services and guides you throughout in a deep, structured, short and proven process. You’ve got a killer technology, an eager sales team, now you need the funding to bring it all to market — better and faster. As a boutique company, we walk together with selected CEOs in a journey that turns vision into reality, and fundability potential to funding. 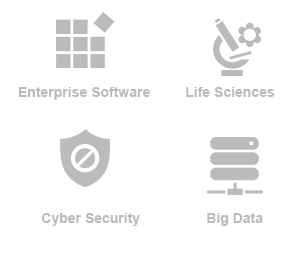 Matoki focuses on Enterprise Software, Life Science, Cyber Security, and Big Data. With 20 years of CFO experience, in local & global companies, from startups to very large enterprises, we ensure hands-on & practical service. The process of raising the first Million $ is often longer, more complicated, and frustrating than raising $100sM. Matoki has done both. Startups that successfully raise funds, treat the process as a professional operation, not as a hobby. Structure and planning are essential. Matoki’s experience makes the difference. Matoki’s six week Fundability assessment helps startups develop an easily understood business story that resonates with executives and A-round investors alike. With hundreds of business model creations and investors presentations, tens of due diligence, and dozens of due diligence processes undertaken, and dozens of companies that underwent the fundability process, Matoki has reached a funding success rate greater than 40% for those companies that have passed the fundability stage. From equity, through convertible debt, to other hybrid structures. Matoki’s experience offers a significant catalyst to the funding process. 7 years of work in the Silicon Valley. From relatively small niche acquisitions of a few million dollars, to strategic acquisitions (such as the one SAP bought Business Objects in $6.7B), Matoki was exposed to 100s of business models, and went through mutual benefits analysis (including the updated go to market model), negotiation stages, valuation, and the post-merger integration processes. In A-round, Matoki’s ability to answer in straight talk investor language, any question about the business model, while sensing the processes tempo and momentum, contributes to the investment discussion and eventually – to it’s success. With 2 significant exits of Israeli start ups and variety of small and large acquisition, as well as MBA these about exits & acquisitions – success & failure reasons. Using interdisciplinary expertise from industries: Enterprise Software, Life Science, Cyber Security, and Big Data, Matoki develops strategic plans and models to achieve business goals in the short- medium- and long-term. Matoki translates complex financial models into business language and strategies that everyone in the organization can understand and support. From A round investors perspective it indicates on company’s maturity. For startups seeking for A Round it adds a significant confidence to their fundability rate. Business models combine risk and performance management; define Key Performance Indicators (KPI) tools and provide a clear and discreet approach to reviewing ongoing operational activities. The bottom line question to be answered is “how does the company handle it’s uses and sources from cash flow perspective”. How to minimize the debt risk that bank sees ,in order to receive the loan in the most optimal business terms. Matoki understands on-going cash shortage realities and provides effective solutions for working capital issues too. With 20 years of experience as CFO and other executive finance and operations roles in Israel, Europe and USA, Matoki adds to the fundability and funding process services, a 3rd service – practical, professional and hands on: Interim CFO. Matoki, as one who came from stratups, knows startup’s culture and speaks startup language. It is an actionable and practical role, where Matoki work together with the CEO to develop a strategy that focuses on specific needs.